Home > Moving Guides > Truck Rentals > Renting a Truck > How Much Does it Cost to Rent a Penske? How Much Does it Cost to Rent a Penske? If you are looking to move to a new home without the help of professional movers, renting a truck is a necessity. Penske advertises to be the lowest costing rental service. They claim to offer many discounts and as well as price matching with competitors. Penske trucks are all 2015 and up models and always checked before having it open to rent. Penske provides packing and towing supplies if needed. What is the average price for renting a Penske truck? Pricing is based on how far you are going and how much your bringing with you. It is also based on the coverage you choose -- like a limited damage waiver for $132 or a supplemental liability for $100. The larger the truck is and the further you will need to go, the higher the price will be. For example, you're moving a five bedroom house long distance move between New Jersey and Florida (1,121 miles), so you reserve a 26' truck. You will be charged extra if the truck is damaged or dirty. If you cancel your reservations the day of, you will be charged a $100 fee for failing to notify Penske within the 48-hour time frame. There are all sorts of discounts for active duty military or veterans. College students save 10 percent, AAA members save 12 percent, and there are coupon codes on their website. 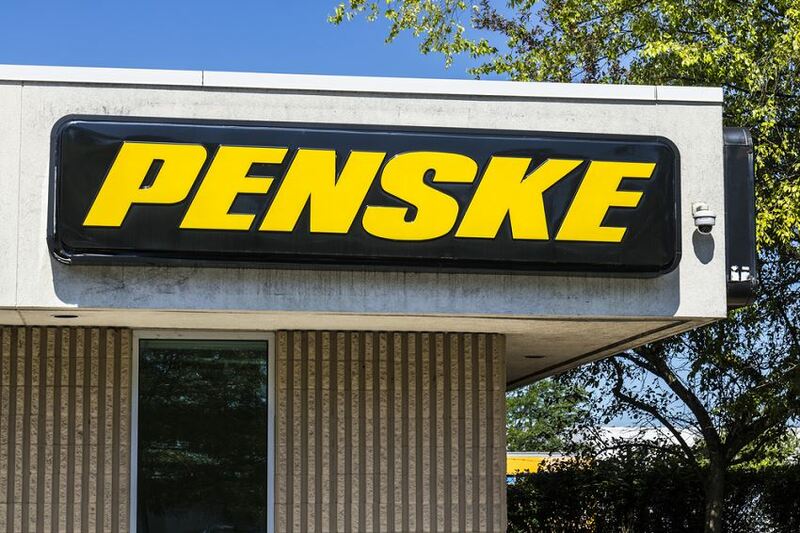 Does Penske charge a flat mileage rate or a per mile charge? Like most companies, Penske charges $.99 per mile when you rent a truck for a round-trip move. However, if you only require the truck for one way, you'll receive free unlimited mileage. Long distance moves fall into this latter category, and you will pay a flat rate without a mileage fee. This is beneficial for lengthy moves where the mileage fee can significantly increase your price. What will Penske guarantee you? All Penske trucks are supplied with automatic transmission, air conditioning, anti-lock brakes, dual-faced mirrors, cargo tie rails, power steering and a rear roll-up door. Moving trucks are examined before rented out to a customer. What kinds of insurance does Penske offer? Supplemental Liability Insurance (SLI) protects the renter and listed authorized drivers against claims made by a third party. 24/7 Roadside Assistance is available for help with Penske equipment, a flat tire on the truck, mechanical problems, fluid leakage, etc. Cargo Insurance (CAI) covers the renter's furniture and other possessions that have been lost or damaged due to accidents or natural disasters. What forms of payment does Penske accept? Penske accepts* cash, major credit cards, cashier's checks, traveler's checks, company or personal checks. *Please call your pickup location to verify acceptance. What is the environmental fee? Penske is committed to doing their part to protect the environment. They handle a number of materials that may be harmful to the environment. The fee goes towards properly disposing of these materials in accordance with the law. Are there any charges due when I return the truck? No charges are due if you are on time and return the truck in the same condition and fuel level as when you received it. There are no hidden mileage or turn-in fees. Can I change the date of my reservation? You can make as many date changes prior to pick-up within six months of the original reservation date. Rate this guide How Much Does it Cost to Rent a Penske?